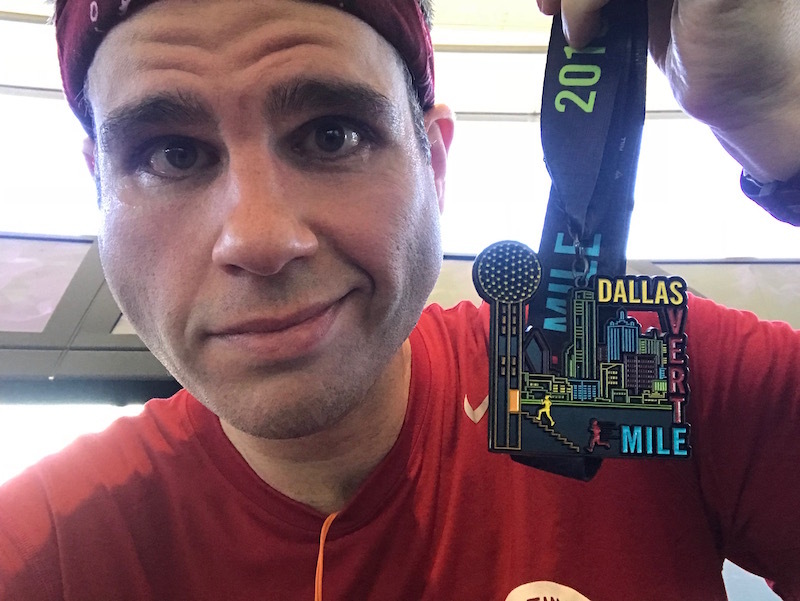 Dallas Vert Mile | Keep It Up, David! I was lying on the carpet, unable to move. Pain and fatigue pulsed through my body, and every limb felt heavy, like I was being pressed into the floor. A woman appeared, looking down at me. “Are you finished?” I nodded, and she disappeared, only to return a few seconds later, ripping open a little plastic pouch with her teeth. She pulled a gorgeous multi-colored medal from the pouch, and I reached up, slowly, and took it from her. I pushed a few words out, in between gasps for air: “It’s the most beautiful thing I’ve ever seen.” She laughed and walked away, and as I rested the medal on my chest, my vision suddenly got cloudy. 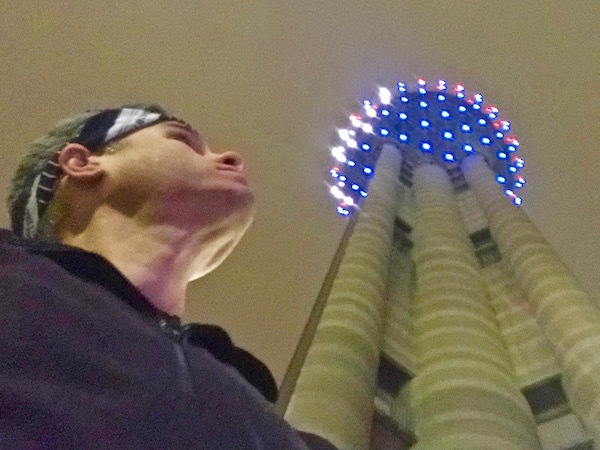 My eyes were filling with tears, and I started sobbing, nearly 500 feet above the Dallas sidewalk.